Shaun Beaudry, A.K.A. 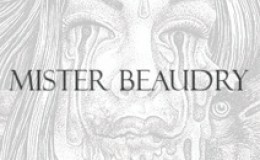 "Mister Beaudry", is an illustrator from Detroit, Michigan, currently residing in historic Savannah, Ga. His paintings and illustrations are highly focused on the natural world, isolation, and cyclical imagery. Lavishly detailed, his work shows a painstaking level of craftsmanship reminiscent European woodcuts, namely the engravings of Albrecht Durer. His mysterious and hauntingly beautiful illustrations bring the timeless motifs of life and death to the modern aesthetic, and rich occult symbolism to a new audience. 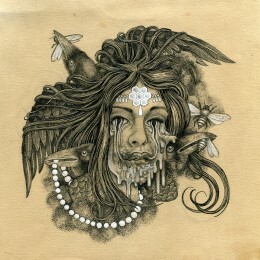 Original art by Shaun Beaudry.Ink on Paper, 13.5" x 13.5"Framed.. 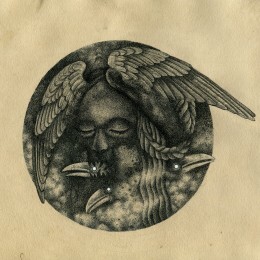 Original art by Shaun Beaudry.Ink on paper, 11.5" x 10"Framed..